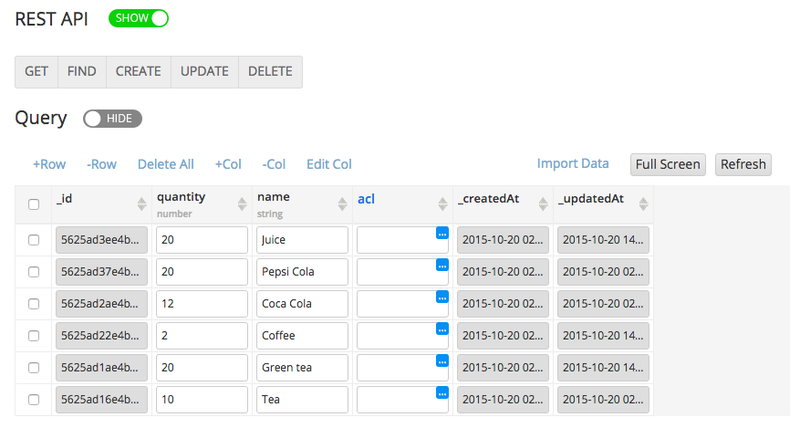 Line 1 & 2: you set the database API key and the collection name. Line 5: you set the query. This query will check if quantity for any product is less then 5. 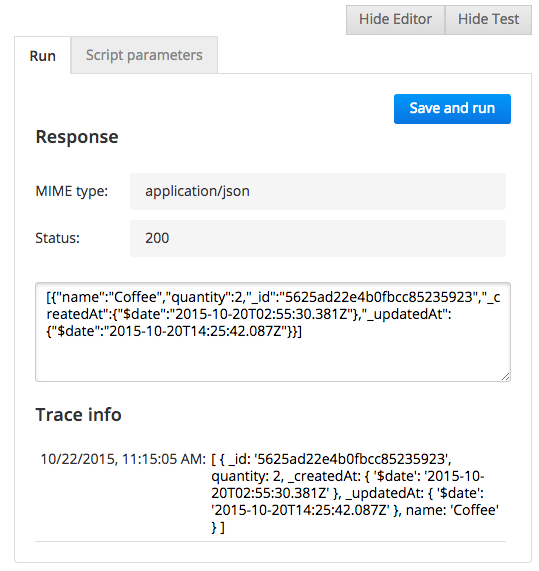 Line 12: is where you query the database using the built-in Server Code API. Because a number of products can have a low inventory, you iterate over the result and create the message to send. Line 23: you send a push message. The id is Push API configured for an app that the manager installed. At the end the script returns a response. The result contains Coffee product which has low inventory. You want this script to run periodically and automatically, say once a day without any user action. You can very easily schedule this script to run once a day via Jobs. At the top of the page you configure the schedule. In the table below you will see all the scripts that have been scheduled. Use the toggle to set the schedule to run (or not). You can click on the link in Last result to see the the log trace for the last script execution. 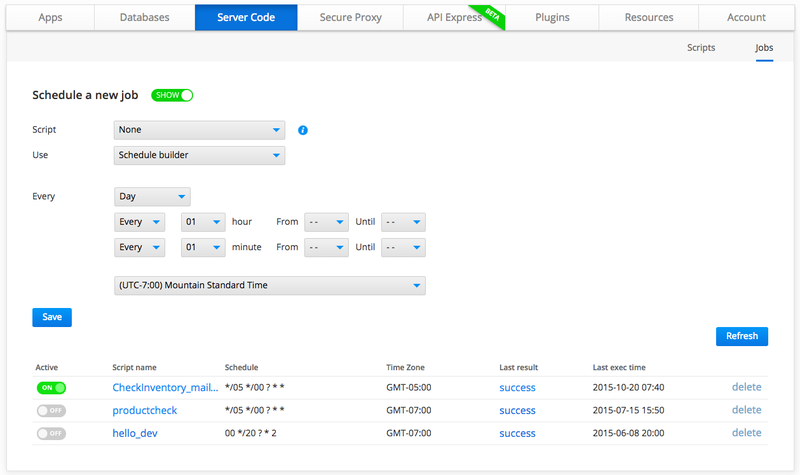 Server Code enables you quickly to expose any app logic via a REST API. With Server Code Jobs, you can quickly schedule the script to run periodically.